A European defence fund, defence industry development programme, pooling of defence capabilities, joint financing of European battle groups. All this was endorsed by the leaders of the EU member states during the summer European Council at the end of June, prompting deep integration in the area of defence, and in an unusually short timeframe at that. Support for these serious integration steps is great, but there were leaders who looked at them with fear, like Bulgarian Prime Minister Boyko Borisov, for example. Differences appeared also on some of the subjects in the Franco-German engine of the EU, but as there is still much work to do on the details they did not overshadow the joy of success achieved. 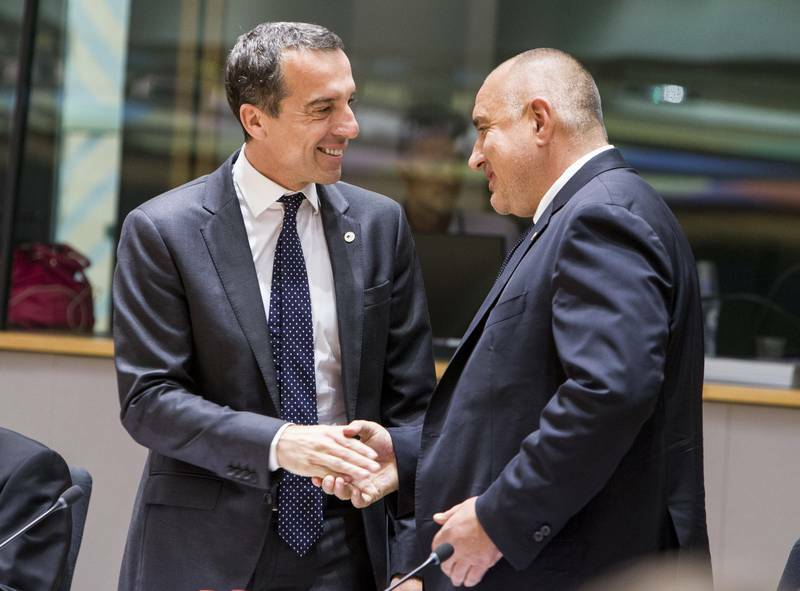 The PESCO abbreviation, which turned out to be a completely unknown word for the Bulgarian prime minister, despite already being a part of the Brussels slang, means PErmanent Structured COoperation, which was thoroughly reported on by euinside. The contours of PESCO are still vague, but it seems that this will be the new EU Schengen, because participation in the cooperation will be subject to fulfilment of participation criteria. The conclusions state that, within three months, member states are to draw up a common list of criteria and binding commitments, including for participation in the most demanding missions. The problematic part is that the conclusions state that within these 3 months, special assessment mechanisms should also be set up to "enable Member States which are in a position to do so to notify their intentions to participate without delay". This practically means that the capabilities of member states to participate in PESCO will be passed through a sieve. Leaders also agreed to present specific projects and initiatives. The conclusions also state that work on PESCO should be synchronised with member states' national defence planning and commitments to NATO and the UN. The text of the adopted conclusions is slightly mitigated compared to the draft prepared before the start of the European Council. In the draft conclusions, it was said quite directly that participation was open to those who are "able to engage in the most demanding missions". The adopted text allows for the participation of all, even those who will not be able to join the toughest (most demanding) missions. This does not mean, however, that the danger of creating a new integration core (apart from the euro area and Schengen) is over, as the criteria and deadlines are yet to be negotiated. Countries that spend less on defence and whose equipment is obsolete, insufficient and/or missing, will have a period to prepare if they want to participate. The Bulgarian prime minister interpreted this as an arms race. According to him, participation will cost a lot of money, which will hinder the government's plans to increase wages and pensions. In front of journalists in Brussels, he even fell into a Socialist-nostalgia about the Bulgarian military industry, but did however state that Bulgaria would participate. The problem was that he kept mixing up several things all the time. 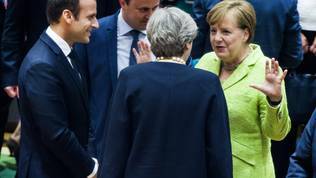 German Chancellor Angela Merkel spoke extensively on the subject after the end of the June summit, revealing a little more details. According to her, PESCO will allow the EU to carry out missions in Africa for example. They will not be military only. There will be serious work using diplomatic and political tools of resolving conflicts. She thinks that three months is a very ambitious term. The good news in her statements was that she was talking about an enhanced cooperation procedure, which leaves the door for participation open. It was in this, she admitted, that there are differences between France and Germany, related precisely to the assessment criteria. France is the one that insists on setting high criteria. French President Emmanuel Macron assured, during a joint press conference with Angela Merkel, that the deal would enable every willing country to join. This will mean, however, that this country has to make some serious decisions in the area of ​​defence "to move forward together". It can be concluded from what was agreed on that this will be one of the fast tracks of European integration and only those who manage to move or want to move at that speed will be able to join. In the autumn, leaders are expected to once more discuss progress in this area. Angela Merkel and Emmanuel Macron made it clear that they will keep track of progress in this area most regularly. 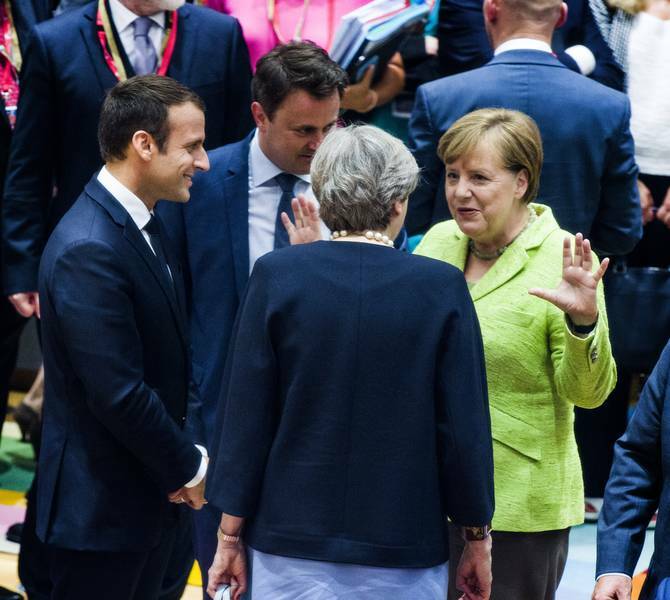 EU plans to deepen military co-operation were also backed by British Prime Minister Theresa May, who said Britain would always remain firmly committed to Europe's defence. The newly elected prime minister of Ireland, for whom the June European Council was a debut, also backed the plans, although Ireland keeps military neutrality. There is also support for PESCO by Hungary, which is otherwise opposed to deeper integration into the EU. The other great piece of news from the EU summit is the leaders' endorsement of the Commission's proposal from early June to create a European Defence Fund. Moreover, leaders expect work on it to be swift. The aim of the fund is to help member states increase their defence spending. At present, the 28 spend a total of 1.34% of gross domestic product on defence. Without the UK, the rate falls to 1.32%. The fund will consist of two lines, the so-called "windows" - a research window and a capability window. These two windows will start functioning together with the first European defence programme, which will be operational from next year, and is expected to become a full-scale programme in the new budgetary period after 2020. Funding will also be released through that fund for projects that will be approved in PESCO, but participation in PESCO will not be a prerequisite for application. The two windows of the Fund will be coordinated by a Coordination Council, in which the Commission, the High Representative, member states, the European Defence Agency, as well as the military industry will be represented. It is explicitly underlined that work on it should be open to small companies, rather than benefiting only large military companies and corresponding member states. The Fund's research window will finance research and development cooperation for developing defence products and technologies at EU level. The pilot programme for R&D funding will have a budget of EUR 90 million over the next 3 years until the end of the 2014-2020 programming period. The Commission proposes that the programme’s budget for the next financial period should be EUR 500 million per year. Funding will be in the form of grants. With the very presentation of the Fund, the Commission opened the first calls of proposals. The European military industry development programme will only fund projects involving at least three companies from at least two member states. The second (capability) window of the fund will assist member countries in uniting their needs. Joint purchases of equipment and common investments will be done through it. However, this requires a common threat and needs assessment as well as a significant synchronisation of national defence planning and budget cycles. That is precisely where the Commission sees the greatest challenge to the Fund and the programme. Another issue is the fair sharing of risk and costs. Initially, development costs may be limited to a small number of participating countries, regardless of these being used by others, and later mechanisms should be developed for cost recovery. In early June, the European Commission presented its next reflection paper. 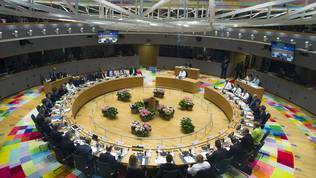 So far, the Commission has put together a few ideas for the future of the EU in several areas, including the euro area, the global role of the EU, social policy, and on June 7 it also presented three scenarios for integration in the field of defence. The time is ripe for the Union to assume greater responsibility for European security, believe the authors of the paper - the High Representative of the European Union for Foreign Affairs and Security Policy Federica Mogherini (Italy, Socialists and Democrats) and Vice-President Jyrki Katainen (Finland, EPP), who is responsible for jobs, growth, investment and competitiveness. Their assessment of the current situation is that military, economic, political and energy threats come from the East, space with no governance is growing on the other side of the Mediterranean, conflicts leave a vacuum for terrorists and criminals. Regional rivalries are increasing. There is a dramatic increase in civilian casualties and refugees around the world, with more than 60 million people having already left their homes. The transatlantic relationship has evolved, the document says, which is a friendly euphemism of "can no longer be relied upon", and it is therefore necessary for the EU to start relying on itself. Such a start, however, is not so great-looking, compared to global partners/opponents. The United States is currently investing more than twice as much for defence than all member states combined and it plans to increase its military budget to close to 10% of GDP in 2018. China has increased its budget by 150% over the past decade, with a further 7% increase projected for this year. Russia has invested 5.4% of its GDP in defence last year. As explained above, the EU combined spends 1.34% with the United Kingdom included. The Commission proposes three scenarios for the future EU defence. The first scenario is named "Security and Defence Cooperation". It is projected to be largely voluntary and based on ad hoc decisions for cooperation in cases of a new threat or the emergence of a crisis. In this scenario, member states will not be bound by a commitment to move in the same direction. If member states go for this option, the defence industry will remain fragmented, the increase in defence spending will be low and very few countries will be able to retain the full spectrum of their armed forces if at all. This is a step deeper integration than the first scenario, at the centre of which is NATO. This scenario provides for much greater financial and operational solidarity with regard to defence, bringing closer the understanding of what a threat is and strategic culture. An even closer cooperation with NATO is envisaged. Both organisations will be practically systematically coordinating with each other when mobilising instruments. In addition, member states will share intelligence in a more systematic way and focus on combating terrorist financing, organised crime and money laundering. In this case, cooperation will be the norm rather than an exception. The third scenario is the one of deepest integration. It will lead member states to a common defence and security. Member states will monitor systematically and will jointly assess security threats, planning will be done at European level, reaching common security interests. Defence planning will be fully synchronised. In the reflection paper, the Commission puts a number of questions to member states: How quickly do they want to build a genuine European Union of Security and Defence? To what extent are they ready to anticipate, instead of reacting to the strategic context? To what extent do they think European security is a European responsibility? 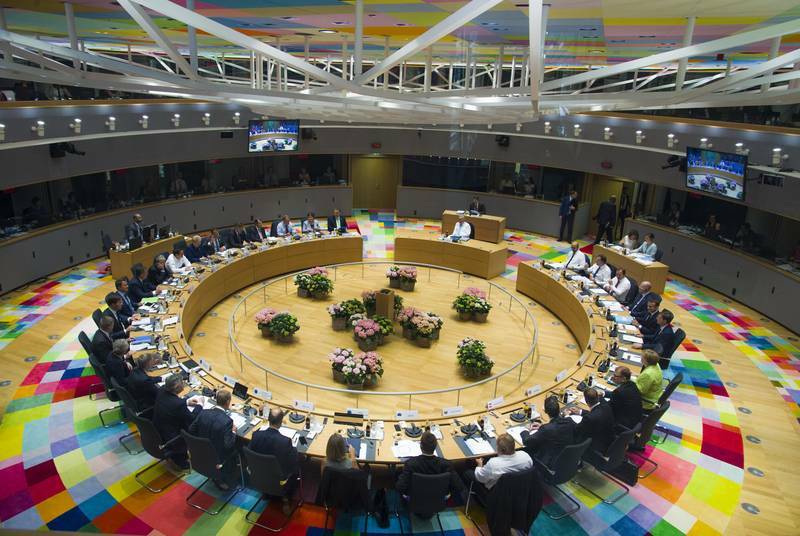 A partial answer to these questions is contained in the conclusions of the leaders from the European Council of 22-23 June: "The joint development of capability projects commonly agreed by Member States to fill the existing major shortfalls and develop the technologies of the future is crucial to fulfil the level of ambition of the EU approved by the European Council in December 2016". That is also the reason for the decision of leaders to approve the European Defence Fund and PESCO. According to the Merkron duo, what was achieved is ambitious. Both leaders - Chancellor Merkel and President Macron - praised the Commission for the work done and the initiatives. What about the Western Balkans? EU plans will certainly have an impact on the Western Balkans, which are the arena of geopolitical claims of influence. Following the accession of Montenegro to NATO and the change of government in Macedonia, the situation has changed significantly, but this does not yet mean that these countries are secured, especially in the context of the Commission's conclusion in the paper that the transatlantic relationship has "evolved" and the realisation that it is necessary for those countries that are in the EU but do not participate in NATO to obtain security. In none of the EC documents or in the Council and European Council decisions there is any consideration of the future with the candidates, regardless of the EU having recently sharply increased its focus on the Western Balkan countries. "This is an interesting topic. I do not know exactly what they are thinking, because I see that EU-NATO cooperation is deepening, I do not know if it is something separate from NATO or something else. We would like to hear what they think about this topic. They have not presented this to us, not even at an informal level. Otherwise, Serbia has no interest in participating in any military pacts or alliances. We are zealously guarding our military neutrality and do not think we are threatened by anyone, namely because we are militarily neutral. There is also another reason, and it is that we are ready to protect our land and skies in any way possible. We do not have a problem with that, but for us this idea is very interesting and would like to hear the plans for the future", said President Vučić quite ambiguously. euinside also asked EU High Representative Federica Mogherini whether it is provided for candidate countries to be included in these plans. She said that these countries are currently taking part in EU security discussions as it is. 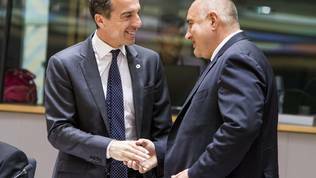 "We do it regularly with the foreign ministers of the Western Balkans. And for sure this will be one of the issues we will discuss with them because we share the same territory" she said. Europe would be Russian if it weren&apos;t for the USA. It&apos;s about time the EU got off of the coat tails of the USA and started putting their children&apos;s lives on the line for their countries instead of American children. And, also paying for their own protection...the USA need to take care of itself for awhile.